Late last year Mozilla introduced a new mobile browser designed to safeguard your privacy online by blocking many web trackers, including analytics, social, and advertising by default. 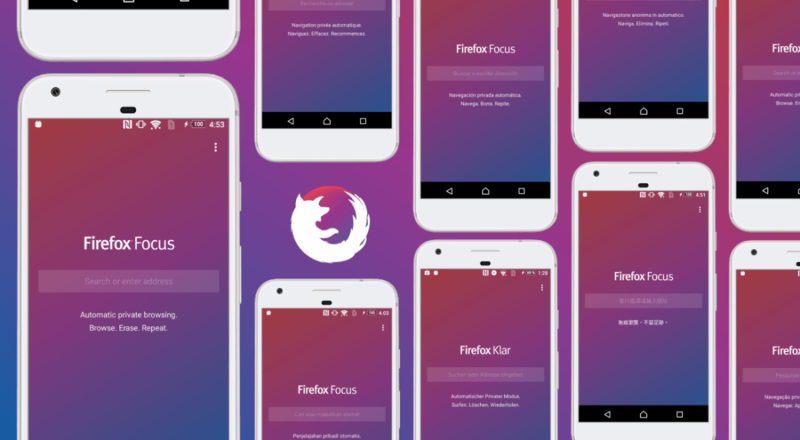 Originally available on iOS, today the company is launching a version of Firefox Focus for Android users too. The browser is intentionally barebones. You are presented with a single search/URL bar and a Settings pane with simple sliders used to turn different types of trackers on and off. There is no support for tabs or any other menus, save for a prominent erase button at the top so you ca wipe your session manually, although session will also be erased automatically when you close the app. Compared to the iOS version, Firefox Focus for Android does offer a few additional features. These include an ad tracker counter to give you some visual feed back of the number of ads that are blocked per site, an option to disable the tracker blocker which can come in handy if a website is not loading correctly, and reminders to clear your browsing history when you leave Firefox Focus running in the background. It’s worth noting that Mozilla already offers a full featured Firefox for Android browser, which provides users with tracking protection based on the same blocking list as well as a private browsing mode, though this features need to be activated manually. Firefox Focus is meant as a more streamlined experience with privacy and ad-tracker blocking features turned on by default. Firefox Focus isn't the only privacy-focused browser available for Android. Former Mozilla CEO/CTO Brendan Eich started the Brave browser, which also provides ad-blocking capabilities. There’s also Ghostery, Orbot, Dolphin Zero, among others.